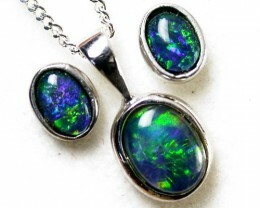 Opal jewelry sets are always popular, but it is difficult to make exact sets matching with Opal Pendants, rings and opal earrings. 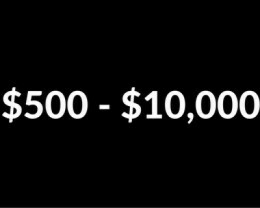 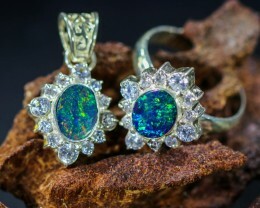 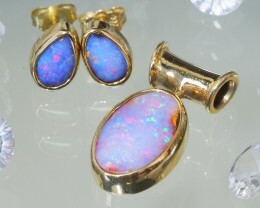 We do not have large selection to view but our sellers on opal auctions do make extra effort to match these opals. 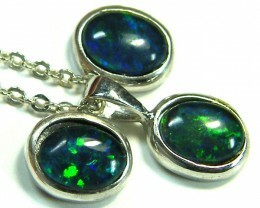 Sometimes you might find an Opal bracelet matching with opal ring or opal pendant. 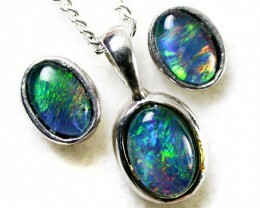 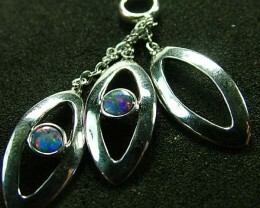 Man made opals are easy to match in Opal jewelry sets but our sellers only sell natural opals. 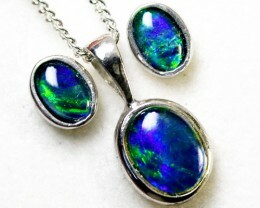 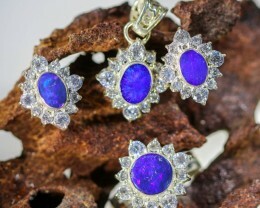 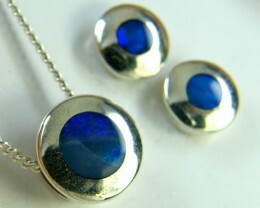 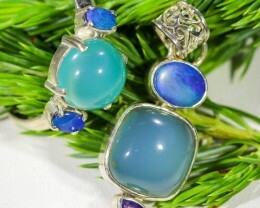 Doublets and triplet opals make nice jewelry sets in gift presentation box so its an ideal gift to buy your partner. 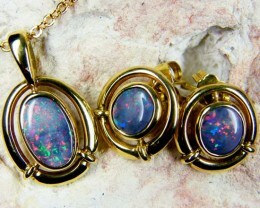 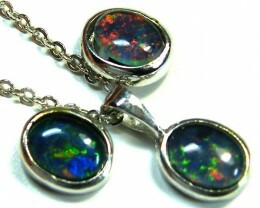 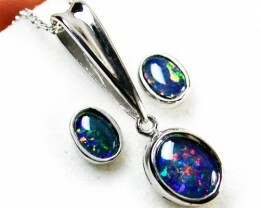 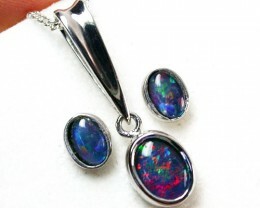 Most females have pierced ears and a service chain is sent with the opal pendant, so the gift can be worn instantly. 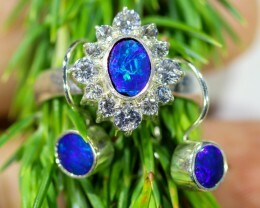 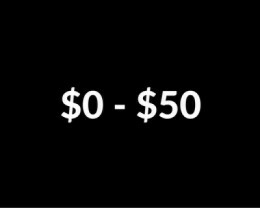 For rings you do need to check ring size as if is silver it is hard to resize.